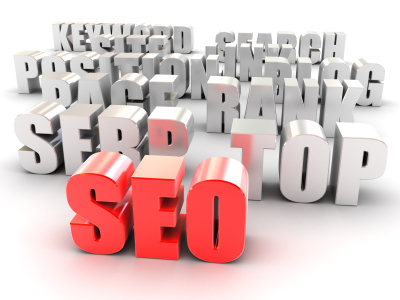 Your site getting into Google TOP 10 is the ultimate aim of your SEO activity. Let’s admit that any other result will always be considered as a failure. It concerns not only the link building but every branch of the search engine optimization, whether we talk about content marketing, directory submissions or on-page optimization. 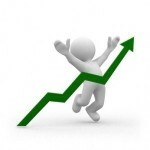 The main point is that SEO is nothing but the way of finding the right ways to increase your website rankings. Sometimes we guess, sometimes we don’t. In any case we get an experience of what we should or should not do. Of course there are no definite answers how to achieve the 1st page of Google you’ve been dreaming about for years. But there is a list of common rules on how to get Google’s LOVE. Let me notice that every SEO branch has its own list of such Google’s LOVE rules. I’d like to reveal the one that is applicable in the link building. So when doing the link building, you should know for sure what Google LOVES. 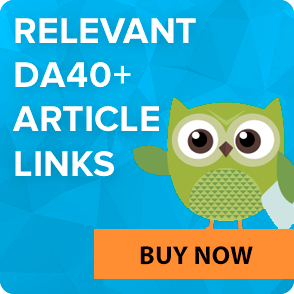 That means that your links must come from web pages with different DA and PA or SB Rank, which is based on DA and PA indexes. Moreover, you shouldn’t forget about “.edu” links and – attention! – no-follow links as well. The matter with no-follow links is that your links set must look natural to Google. And it’s obvious that the absence of such links doesn’t look natural at all. Usually, no-follow links can be made by yourself – just leave a comment with your specific anchor text link on someone’s blog. As for the high-quality links, well, this is quite a challenging task to build them on your own, but at the same time, this task is the most important one as this is what gives Rank weight to your web pages and boosts your rankings. That’s why if you do not have much experience, it’s better to leave do-follow link building to SEO experts. Even if your texts are far from brilliant, add them to your content. Your site will rank better if it’s really your unique text. Remember, unique content is one of the most important factors of your success on Google. Any excellent link popularity campaign can’t help you to increase your traffic & sales if the visitor is not interested in the content of your site. Google hates any manipulations with backlinks. When using automated link building services which deal in quantity, you take risks to disappear from Google search results. This automated link building is nicely detected by Google since 5,000 links built in a couple of minutes have nothing in common with natural popularity. That’s why all your backlinks must be installed manually by the site owners. Your link popularity campaign should mimic the natural pace of links acquisition. Google doesn’t like any sudden and unexplained bounces of your site link popularity. And vice versa! If your link building campaign is quite slow, you have more chances to get the longed-for Google’s LOVE. The longer your link remains alive, the longer your site is LOVED by Google. Find out how many “permanent” links are still active within your backlink profile since last year. I believe it’s difficult to get a permanent link unless you are a good friend with the site owner, or unless your backlink is placed on a web page with zero traffic. For that matter, the monthly paid link offers are fairer and safer for you. Moreover, they turn to be more efficient in terms of ROI. Google pays more attention to the specific anchor texts than to meta tags, H1 tags, etc. That’s why you should carefully select the keywords for your link building campaign. There is the time management rule: 1 minute devoted to your activity planning saves at least 10 minutes you can devote to this activity. In the context of link building, this rule turns into: 1 day you devote to the keyword selection saves about $5,000 you’ll invest into your link building. These tips can be commonplace for you. If so, I believe that simple things which seem too obvious to talk about, are worth your attention. Especially when you don’t know how to get a piece of Google’s LOVE.